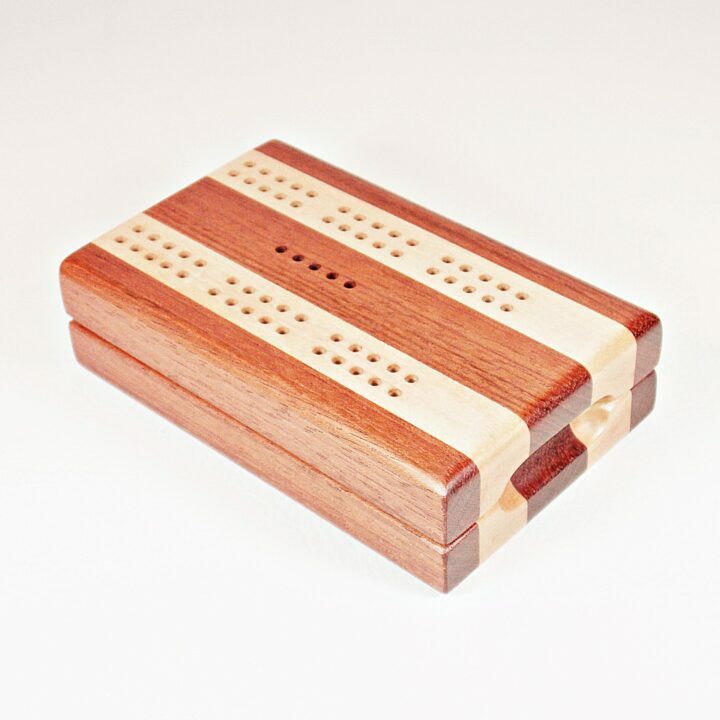 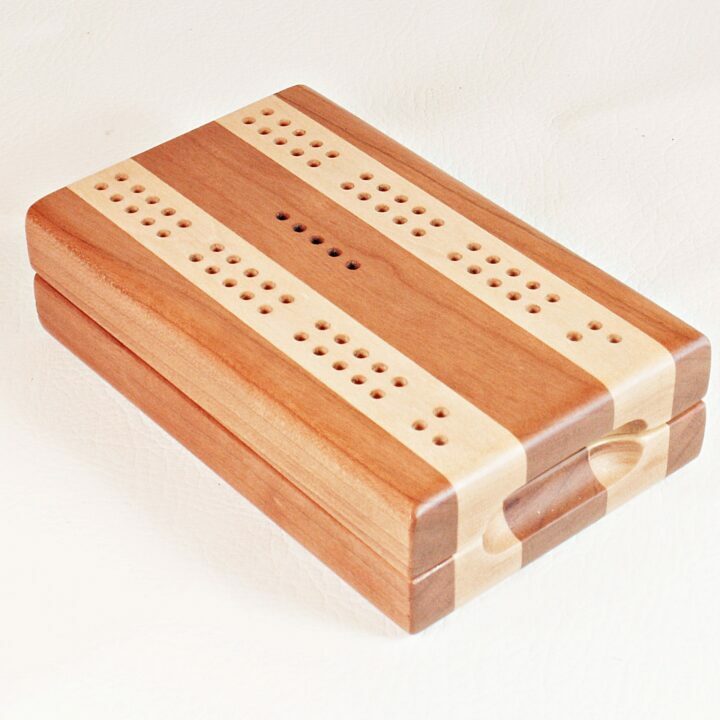 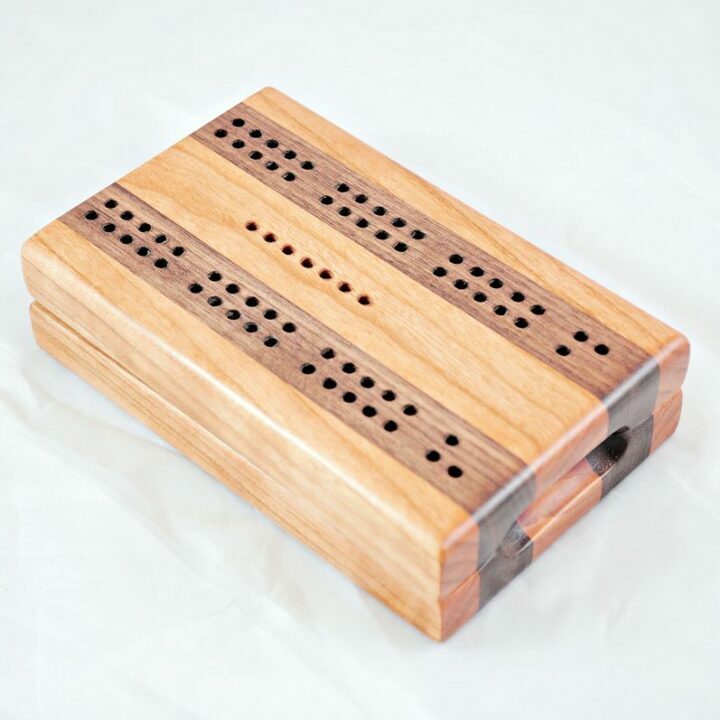 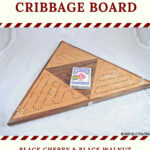 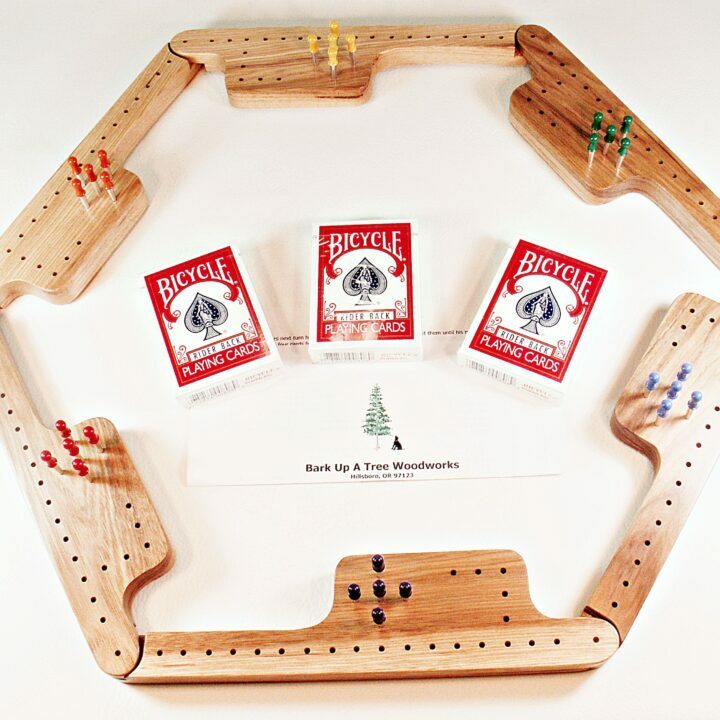 This 3 player Triangle Cribbage Race Board – Cherry, Walnut & Maple inlay for a touch of elegance. 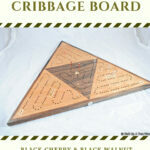 Don’t be afraid to use this board and then hang it on the wall as fine art and admire it. Each player starts on a corner and races to the middle. 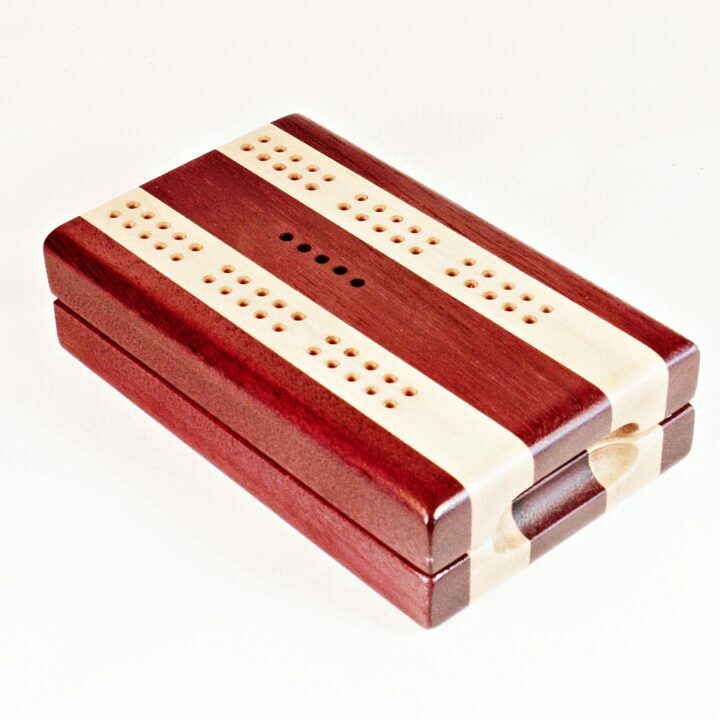 Inlays are done by hand, no lasers or CNC. 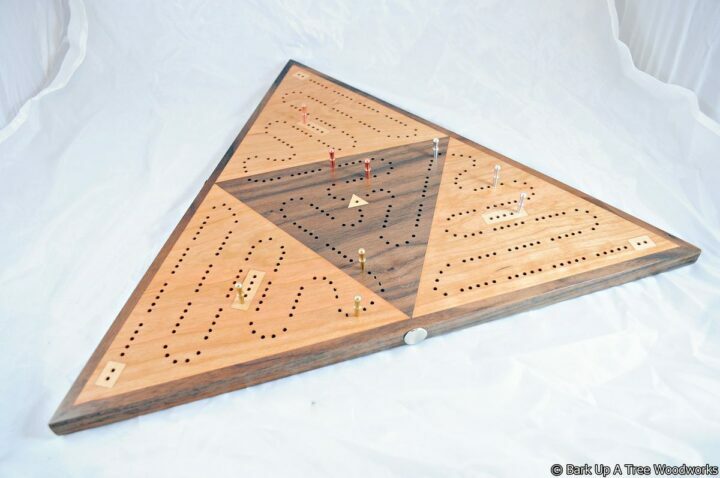 No two boards are alike!!! 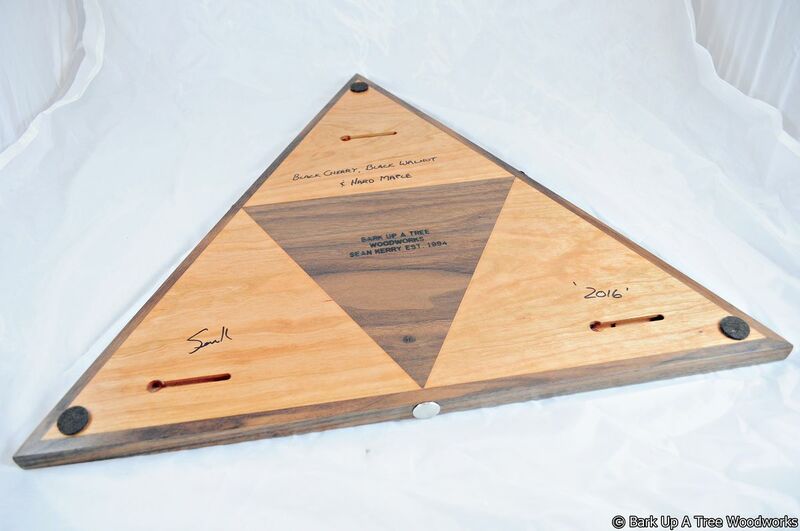 The board is signed, numbered and dated. 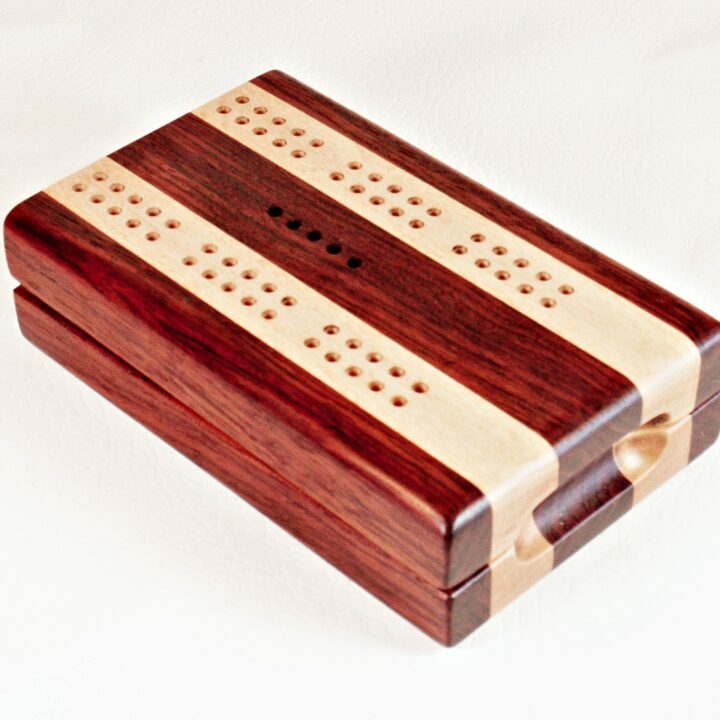 All my boards are finished with 4 coats of Tung Oil/Varnish blend then waxed and buffed to a fine smooth polished finish. 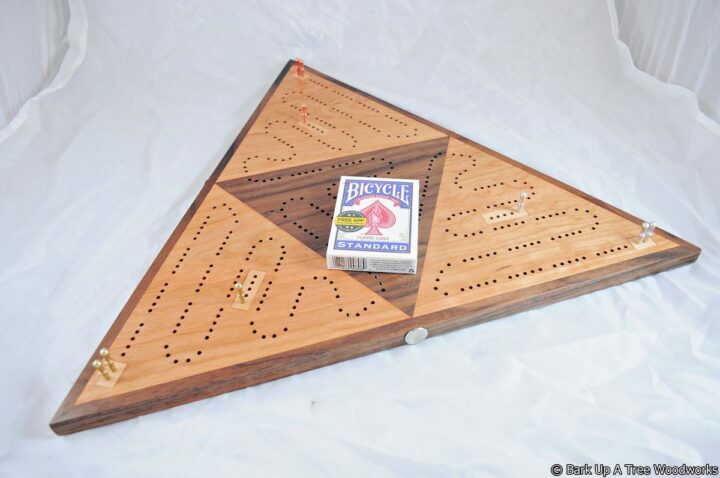 Pegs are stored inside of the board, secured by a metal caps.